Looking for a modern day version of Indiana Jones? Dane Maddock is your man! 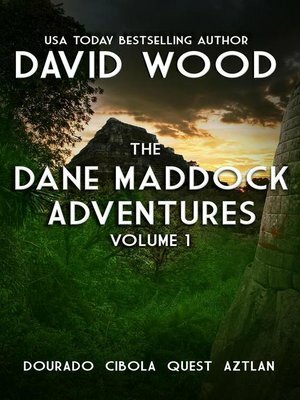 This box set includes Dourado, Cibola, and Quest, the first three books in the Dane Maddock Adventures series, plus a bonus story. Sunken ships, lost cities, ancient mysteries, Biblical artifacts, and all the action you can stand! Dourado- The search for a sunken ship sends Dane Maddock and Bones Bonebrake on an action-packed search for the Sword of Goliath. Cibola- Can clues from the Copper Scroll lead Maddock and Bones to the fabled Seven Cities of Cibola? Quest- A daring rescue attempt into the heart of the Amazon puts Maddock and Bones on the trail of the Lost City of Z. Aztlan- An unexpected discovery in the American Southwest changes Maddock's world.